A half-century ago, during the darkest days of World War II, on the feast of St. Jerome (Sept. 30, 1943), Pope Pius XII issued his encyclical on “The Most Opportune Way to Promote Biblical Studies,” Divino Afflante Spiritu (literally, “Inspired by the Divine Spirit”), in commemoration of the encyclical Pope Leo XIII had issued on Nov. 18, 1893, Providentissimus Deus (“The God of All Providence”), which itself represented a cautious opening to historical criticism of the Bible. Pius’s encyclical, often called the Magna Carta of Catholic biblical scholarship, offered the first official rays of light after the long, dark winter of anti-modernism. Modern biblical studies emerged in the late-17th and 18th centuries as the old order crumbled amid religious wars and divisions of the period. Enlightened reason was seen as a liberation from the biblical dogmas that fostered hatred and division. The rise of natural science in the 19th centu­ry further undermined the biblical view of the world, and the discovery of biblical manuscripts and records of other ancient civilizations chal­lenged traditional notions of biblical inspiration and revelation. Protestant theology, especially in Germany in 19th century, is a his­tory of response to the challenge of Enlightenment rationalism and the new historiography. Names such as Friedrich D. Schleiermacher, David Friedrich Strauss, Ferdinand Christian Baur and Johannes Weiss, to name but a few, are still part of an unofficial “canon” for any course in the history of biblical scholarship. Yet the “battle for the Bible” caused deep divisions within Protestantism. Its contemporary legacy is the spread of fundamentalism that continues to divide major denominations like the Southern Baptist Convention. Throughout the tumultuous years of the 19th century there were ten­tative attempts by Catholics (like the members of the Catholic Tubingen school) to incorporate emerging biblical scholarship and to dialogue with its proponents. Yet official Catholic theology and teaching remained suspicious and defensive. Lest we judge our predecessors too harshly, we should recall that the 19th century was one of great stress for the church. The loss of the papal states, the constant political revolutions, the bitter opposition of “liberalism” to the church, exemplified in the expulsion of religious orders from France and Germany, made the church understandably suspicious of the new intellectual currents of the period. The long pontificate of Pius IX (1846-78) and his increasing disillusionment with moder­nity did not provide a favorable atmosphere for the adop­tion of “modern” methods of criticism. Pope Leo XII adopted a less polemical posture with respect to modernity, and his pontificate (1878-­1903) witnessed the initial budding of Catholic biblical studies, especially in the work of Joseph-Marie Lagrange, O.P., who founded the Ecole Biblique in Jerusalem in 1890 and the Revue Biblique in 1892. The first buddings of biblical scholarship were quickly blighted by the reac­tion against modernism, especially during the anti-mod­ernist crusade initiated by Pope Pius X (1903-14), which soon turned against unquestionably orthodox scholars such as Lagrange. Arguably the greatest Roman Catholic biblical scholar of the first half of the 20th century, Lagrange was constantly attacked by conservative Jesuit scholars, and his works were forbidden to seminarians in a consistorial decree of 1912. The decrees issued by the Pontifical Biblical Commission (1905-15) mandated for Catholic scholars the most traditional position on virtual­ly every issue raised by critical scholarship. As Gerald Fogarty, S.J., notes, the anti-modernist reaction was espe­cially destructive of biblical scholarship in the United States: “[By the late 1930’s] whatever scholarship there had been at the beginning of the century had either been destroyed or gone underground .... In effect, integrism had become a habit of mind, even after Benedict XV had condemned it. The American Church gave little indication that it was ready to undertake any type of scholarly endeavor” (American Catholic Biblical Scholarship, 1989). There were glimmers of hope during the anti-mod­ernist decades. Catholic scholars in German universities and at the Ecole Biblique and the Pontifical Biblical Institute in Rome (founded in 1909) continued to pursue solid scholarship, principally in philology and archaeol­ogy. Of special significance is the work of Augustin Bea, S.J. (1881-1968), who became best known as a leader in ecumenism at Vatican II. Previously, Bea had been professor (1924-59) and later rector (1930-59) of the Pontifical Biblical Institute and consultor to the Biblical Commission (1931-59). As a respected adviser to Popes Pius XI and Pius XII, Bea had immense impact on the composition and publication of Divino Afflante Spiritu, along with Jacques-Marie Voste, O.P. (secretary of the Pontifical Biblical Commission). Attacks on biblical scholars continued during the papacy of Pius XI (1922-39) and the early years of the pontificate of Pius XII (1939-58). The immediate back­ground to Divino Afflante Spiritu was a series of anony­mous and pseudonymous pamphlets to Italian bishops attacking biblical studies. On Aug. 20, 1941, the Pontifical Biblical Commission responded with a letter to the Italian hierarchy that anticipated many of the statements of the encyclical. Divino Afflante Spiritu rejects those Catholic conser­vatives who “...pretend that nothing remains to be added by the Catholic exegete of our time to what Christianity has brought to light” (No. 32). Exegesis of the text was to be determined by the literal (or literary) sense, defined as “the literal meaning of the words, intended and expressed by the sacred writer” (No. 26). The letter also approved critical methods urging that exegetes “endeavor to detern1ine the peculiar character and circumstances of the sacred writer, the age in which he lived, the sources written or oral to which he had recourse and the forms of expression he employed” (No. 33). While exegetes were also exhorted “to disclose and expound the spiritual significance intended and ordained by God,” they should “scrupulously refrain from propos­ing as the genuine meaning of Scripture other figurative senses” (No. 27). This reflects Thomas Aquinas’s com­ment that “nothing necessary to faith is contained in the spiritual sense that Scripture does not put forward else­where in the literal sense” (Summa Theologica, 1.1.10). The encyclical exhorted exegetes to be inspired by an “ardent and active love of their subject and be sincerely devoted to Holy Mother Church” (No. 46), encouraged them to tackle unsolved problems and urged that their work be judged “not only with equity and justice, but with charity,” and that “all should abhor that intemperate zeal which imagines that whatever is new should for that very reason be opposed or suspected” (No. 47). The recommendations of Divino Afflante Spiritu sound almost commonplace today. Against the background of the anti-modernist ethos that dominated the Roman Curia from the turn of the century, its con­clusions are revolutionary. It also paved the way for the biblical renewal that has transformed church life for the past half-century. Divino Afflante Spiritu provided the stimulus for a development of genuine biblical scholarship within Catholicism, especially in the United States, which wit­nessed a changing of the guard during the 1950’s as younger scholars were trained not only at Catholic insti­tutions such as The Catholic University of America and the Pontifical Biblical Institute, but also at secular insti­tutions such as Johns Hopkins, under the direction of William Foxwell Albright. Still, the progress of biblical studies was far from smooth. Biblical scholars continued to be attacked by conservatives in the United States, encouraged and sup­ported by the heirs of integrism in Rome. For example, Edward F. Siegmann, who as editor from 1951-58 trans­formed The Catholic Biblical Quarterly into a solid scholarly journal, was constantly attacked by integrists, leading to his dismissal from Catholic University in 1961 on purported grounds of ill health. Opposition to biblical studies in the United States was led by Msgr. Joseph Fenton, a professor of theology at Catholic University (and a theological adviser at Vatican II) and was encour­aged by public criticisms of biblical scholarship by Archbishop Egidio Vagnozzi, the Apostolic Delegate (1958-67). Early in the pontificate of Pope John XXIII (1958-63), biblical scholars were attacked, and both Stanislas Lyonnet, S.J., and Maximilian Zerwick, S.J., were suspended from their teaching posts at the Pontifical Biblical Institute on the eve of Vatican II. The gains made by Divino Afflante Spiritu were finally solidified only with Vatican II’s “Dogmatic Constitution on Divine Revelation” (Dei Verbum), but not without a final campaign waged principally by Cardinal Alfredo Ottaviani and other Curia theologians. The draft document prepared by the theological com­mission and presented to the bishops at the first session of the council crystallized the reactionary tendencies of post-Tridentine and anti-modernist theology. It also rarely refers to Divino Afflante Spiritu and never cites those passages where Pius XII explicitly authorized use of modern methods of criticism. Going beyond what was stated at Trent, this draft says explicitly that there are two sources of revelation. The draft also states “it is completely forbidden to admit that the sacred author could have erred, since divine inspiration of its very nature precludes and rejects all error in everything, both religious and profane” (emphasis mine). The draft “condemns those errors” by which it is asserted that the Evangelists or, “what is far worse,” the primitive communities attributed statements to the historical Jesus that He did not utter. Behind this condemnation is a rejection of form and redaction criti­cism, which were emerging as the dominant methods of New Testament studies. The story of the ultimate rejection of this draft and its rewriting by a mixed commission composed of people open to biblical studies, such as Cardinal Bea, as well as its journey through the four sessions of the council till its final passage on Nov. 18, 1965, is one of the great dramas of Vatican II. Dei Verbum not only raised the teaching of Divino Afflante Spiritu to the level of a con­ciliar dogmatic constitution. It made distinctive contri­butions to an understanding of Scripture in the church. The decree treats Scripture in the larger context of a the­ology of revelation, which is itself described in more personalist and Christological terms than at Vatican I. It spells out carefully, but somewhat dialectically, the rela­tion of Scripture and tradition. Neither Scripture nor tra­dition is ever called explicitly a “source” of revelation, but there is a close connection between the two (Nos. 9­10). In one sense “Scripture” is the result of tradition, since it is the handing on in writing of the apostolic wit­ness and preaching. Scripture and tradition form one sacred deposit of the word of God (No. 10), yet there is a priority given to Scripture. Scripture is called the Word of God; tradition hands on the Word (No.9). One of the most reworked sections of the decree con­cerned the inerrancy of the Bible, one of the most neural­gic issues in the debate between conservatives and advo­cates of biblical criticism. The discoveries of natural science (for example, the age of the universe) as well as the insights of historical criticism concerning de facto errors in the Bible, seemed to challenge traditional church teaching on inerrancy, reiterated in Providentissimus Deus and Divino Afflante Spiritu. In a formulation that was accepted only in the last session of the council, Dei Verbum states that “the books of Scripture must be acknowledged as teaching firmly, faithfully and without error that truth which God wanted put into the sacred writings for the sake of our salvation” (No. 11, emphasis mine). In the postconciliar years the phrase “for the sake or our salvation” became a critical principle militating against any literal interpretation of those parts of the Bible that legitimated sexual or social oppression. On important issues of biblical interpreta­tion and the growth of tradition, Dei Verbum remains dialectical, reflecting its origin as a document combin­ing traditional perspectives with cautious openings to more progressive thought. The text states simultaneous­ly that the “magisterium,” the teaching office, is not above the Word of God but serves it, and continues: “The task of authentically interpreting the Word of God, whether written or handed on, has been entrusted exclu­sively to the living teaching office [magisterium] of the church” (No. 10). Thus the teaching office is simultane­ously the servant of the Word and its authentic inter­preter. An important and often overlooked passage states that the apostolic tradition develops in the church with the help of the Holy Spirit, “through the contem­plation and study made by believers who treasure these things in their hearts; through an intimate understanding of the spiritual realities they experience, and through the preaching of those who through episcopal succession have received the sure gift of truth” (No.8). Study, reli­gious experience and community discernment are thus an important part of the development of tradition. Episcopal teaching is part of a larger process of growth rather than its sole agent. Abbot Christopher Butler, O.S.B., a theological adviser at the council who in 1966 was appointed auxiliary bishop in the Archdiocese of Westminster, England, captured the tension in the con­ciliar statements when he wrote shortly after the coun­cil: “It is all very well for us to say and believe that the Magisterium is subject to holy Scripture. But is there anybody who is in a position to tell the Magisterium: ‘Look, you are not practicing your subjection to Scripture in your teaching’?” (in J. J. Miller, ed., Vatican II: An Interfaith Appraisal, 1966). The immediate history of post-Vatican II Catholic biblical scholarship, in concert with other theological disciplines, presents a dazzling kaleidoscope. One immediate effect was the commitment to biblical and theological studies by a great number of people. More and more talented lay people, especially women scholars, entered the field. Roman Catholic scholars quickly became leaders in the scientific study of the Bible. John L. McKenzie was the first Catholic elected president of the traditionally Protestant Society of Biblical Literature, followed not long afterward by Raymond E. Brown, S.S., Joseph A. Fitzmyer, S.J., Roland E. Murphy, O.Carm., and Elisabeth Schussler Fiorenza. Protestants became leading members of the Catholic Biblical Association. The biblical renewal became the soul of bilateral ecumenical dialogues, as groups turned to the scriptural roots of disputed issues only to find that a historical-critical reading of the Scriptures challenged positions once thought to be set in concrete. Redaction criticism helped to uncover the theological creativity and literary achievement of the Evangelists and dis­closed a multicolored pluralism in the New Testament itself. Fresh translations from the original languages such as the Bible of Jerusalem and the New American Bible were produced, and Catholics participated in the production of commentaries no longer divided along confessional lines. Creative theological movements such as feminist and liberation theology wrestled criti­cally with the biblical texts as a source of their insights. Literally thousands of religious and lay people flocked to summer institutes and workshops sustained by joyful discovery of the manner in which the Bible touched their lives. The church was being transformed “from below” as individuals and groups defined their lives and faith in dialogue with the Bible. Yet, as we look back on the massive changes of the last 50 years, certain concerns emerge that may demand of scholars, teachers and readers of the Bible the same dedication and courage shown by the pioneers in the biblical renewal. At the risk of being branded a false prophet, I would like to highlight a few of these. First, despite acceptance of the historical-critical method by a pope and a council and its continual use by the majority of scholars and religious educators, its conclusions and its leading practitioners, such as Raymond Brown, S.S., and Joseph Fitzmyer, S.J., are subjected to constant attacks from “neo-integrist” writers who label historical criticism as modernist or too concerned with the human elements in the Bible. Similarly, there is constant need to renew the renew­al. Cardinal Carlo Martini of Milan, who personally has used the study of Scripture to renew his archdiocese, remarked that there is still resistance to the biblical renewal and suggests that a Synod of Bishops be called to consider how the church has responded to Dei Verbum (The London Tablet, July 10, 1993). Raymond Brown observed recently that college students today come with minimal knowledge of the Bible and their teachers feel a tension between exposing them to the latest scholarly trends and instructing them “in elemen­tary ways that would enable them intelligently to appre­ciate the Scriptures they hear on Sunday and to read the Bible for their own spiritual development” (Biblical Interpretation in Crisis: The Ratzinger Conference on Bible and the Church, 1989). Despite the call at Vatican II that biblical studies be the soul of theology and an essential part of ministerial preparation, a high number of ministerial training programs offer inadequate prepa­ration in Scripture, requiring often at most two courses in each testament. (My own institution recently reduced the required courses in Bible to one basic course in each testament; the students wisely take more). The most fre­quent complaint heard from “people in the pew” is the lack of good biblical preaching. 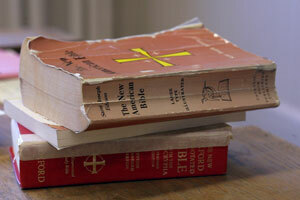 Second, the biblical renewal has had little impact on official church teaching and theology. There is a strange paradox here. Without an encyclical from a pope, a dog­matic constitution from a council and continued support by statements of the magisterium, the biblical renewal would not have had such a broad-based impact in Catholicism. Yet in crucial areas such as the nature of the church, the role of episcopal leadership, the nature of the priesthood and access to ministry, 30 years of bib­lical research have been virtually ignored in official statements. Francis J. Moloney, a leading Australian biblical scholar, wrote recently: “There is every indica­tion that the golden era of biblical enthusiasm in the Catholic Church is on the wane. There is a return to a new dogmatism.” In reviewing the new Universal Catechism, Luke Johnson, a leading Catholic exegete, observes “how completely this catechism ignores the results of biblical scholarship. The code for reading the Gospels is the same used by Augustine and Aquinas” (Commonweal, 5/7/93). Once the center of controversy in the church, biblical scholarship seems to have moved to the staid periphery. A third phenomenon is growing criticism of the his­torical-critical method, and not only among conservative Catholics. Scholars who adopt methods of literary criti­cism current in the larger arena of humanistic studies argue that historical criticism is too preoccupied with the “world behind the text”--that is, the historical refer­ent--to the exclusion of the “world of the text”--that is, the internal literary structure and meaning that emerge simply from a study of the text. Sandra Schneiders, I.H.M., professor of spirituality and New Testament at The Jesuit School of Theology in Berkeley, in articles stretching over the last 15 years and in an recent book, argues that historical criticism does not provide an ade­quate hermeneutical foundation for a religious appropri­ation of the Bible (The Revelatory Text: Interpreting the New Testament as Sacred Scripture, 1991). The fourth challenge is the proliferation of sub-fields and sub-disciplines within biblical studies. The historical-critical method now competes with narra­tive analysis, deconstructive criticism, structuralism and semiotics, reader-response criticism, socio-cultural and anthropological studies, feminist and liberation hermeneutics. Often these become what Edward Farley of Vanderbilt University has called “surfeited speciali­ties,” wherein scholars search for a province within the specialty field to make their own, so that “to carve out a special niche, aspiring scholar specialists must settle for scrutiny of narrower and narrower sets of problems” (The Fragility of Knowledge: Theological Education in the Church and the University, 1988). Biblical studies is in danger of becoming such a collection of speciality fields. The fifth and related challenge is the need for vibrant biblical theologies and for exegetes to be in dialogue with other theological disciplines. For example, since the beginning of the biblical renewal there has been no comprehensive New Testament theology by a Roman Catholic, English-speaking, biblical scholar. Similarly, there has been minimal work in New Testament ethics by English-speaking Catholic biblical scholars. A sixth challenge is the need to develop pastoral models for biblical studies. Over the years, through publications, lectures and summer workshops, Catholic biblical scholars have been outstanding in their sensitivity to the pastoral needs of the church. Such com­mitments have often caused tension with the more scien­tific study of the Bible and are dismissed in some quar­ters as “popularization.” Yet other voices are heard. One example is helpful. Elisabeth Schussler Fiorenza of Harvard University has called for a “Pastoral Theological Paradigm” of biblical studies, which “holds the pastoral situation and the theological response to it, the historical and theological aspects, the past and present in creative tension,” and which understands the Bible, “not as a con­glomeration of doctrinal propositions or proofs, not as historical-factual transcripts, but as a model of Christian faith and life” (Bread Not Stone: The Challenge of Feminist Biblical Interpretation, 1984). The final challenge is shared by Catholic biblical scholars with the church as a whole: how to maintain scholarship that is identifiably Catholic while remaining faithful to the demands of scientific scholarship and responsive to the intellectual currents of our day. An answer constantly given in official church documents is that scholarship is at the service of the larger church. An equally important aspect is that Catholic scholarship must be “catholic,” in the sense of inclusive and plural­istic. Such scholarship must stand in a tradition of inter­pretation by which the biblical witness is continually retold and relived in the most diverse circumstances. The task of realizing such a Catholic identity involves remembrance of the painful birthing of modern biblical study in the church, engagement with the original texts, in-depth study of commentaries by patristic, medieval and modern authors, attention to teaching on the Bible by popes and councils, dialogue with other Christians and with Jews who cherish the Bible, and observation of the use of the Bible in art and literature--all seen as the lived experience of people who have grappled with and continue to grapple with this strange but fascinating col­lection of texts. Though not as dramatic, the challenges facing biblical scholars in the next century may be no less daunting that those faced by those pioneers who looked beyond their horizons to enter the world of mod­ern biblical criticism. In 1968 I took several courses in NT Studies taught by Fr. Don Murphy, SJ at Saint Louis University. The courses opened my mind to the best in biblical scholarship and the exegetical method and shaped the way for thirty five years I taught NT Studies in a high school near home. Years later I took courses offered by Fr. Raymond Brown, SS., offered in Boston. These were equally profitable. One day after class Fr. Brown found out that I had taken Fr. Murphy's course and became quite animated with interest in my evaluation of Murphy's course. John R. Donahue, S.J., is a research professor in theology at Loyola College, Baltimore, Md. He wrote America’s column The Word from 1999 to 2002.